A new Shopify store for the industry's most trusted brand. Weatherbeeta is a leading international brand selling high quality, comfortable, innovative and durable protection for horses & dogs. 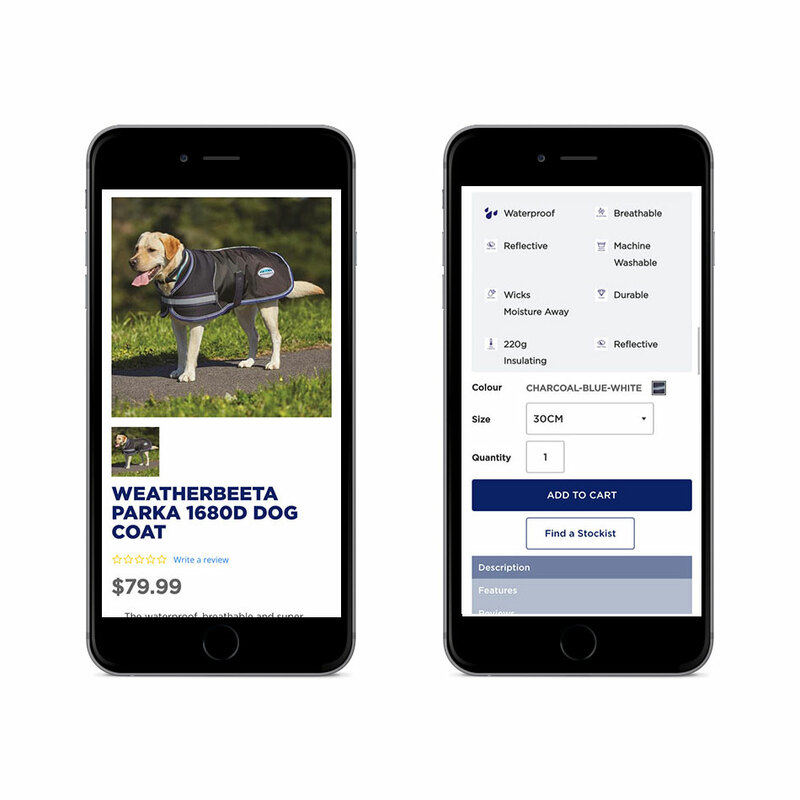 Already selling online in the UK and USA on Magento, they needed a solution to get to market quickly to sell Weatherbeeta Dog products direct to Australian customers. Due to the basic product configuration and time needed to get to market, Shopify was selected as the perfect eCommerce platform. A custom design was created, which makes it easy to find the right dog product based on colour, size and a multitude of product features.